Buildings you own or lease as a part of your business, your business personal property, and the personal property of others make up the basic coverage sections of Commercial Property Insurance. 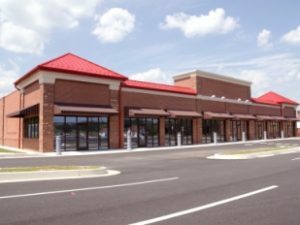 Commercial Property Insurance can be sold separately as an individual line (referred to as a monoline policy), or it can be sold as part of a Commercial Package Policy (CPP), which combines two or more commercial coverage parts such as commercial property , general liability, and commercial auto. Building coverage includes buildings or structures and any completed additions, which are listed on the declarations page of a commercial policy. Permanently installed fixtures, machinery, and equipment are also insured as a part of building coverage. The limit of insurance is the estimated amount needed to rebuild your building and to replace permanently installed fixtures, machinery, and equipment in the event of a total loss. You are required under the insurance policy to fully insure the value of your buildings. If a building is not insured to value, you can be subject to a monetary penalty at the time of a loss. This penalty is commonly referred to as “coinsurance.” It is important to read and understand the coinsurance clause of your commercial property policy and to discuss any questions with your broker-agent.